In choosing a garage, whether to park a tractor, or for storage the most important things to look for are strength, durability and low maintenance. They will not rust, dent, rot, mildew, or fade and they never need painting. 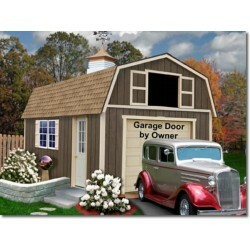 In choosing a garage, whether to park a tractor, or for storage the most important things to look for are strength, durability and low maintenance. They will not rust, dent, rot, mildew, or fade and they never need painting. ***FLASH SALE*** Only While Supplies Last! FREE Fast Shipping! 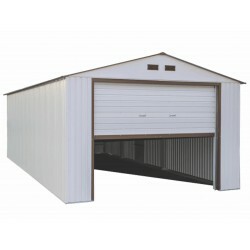 In choosing a garage, whether to park a tractor, or for storage the most important things to look for are strength, durability and low maintenance. FREE Fast Shipping! 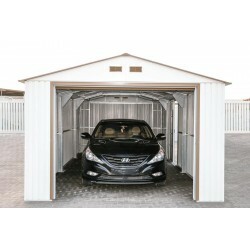 In choosing a garage, whether to park a tractor, or for storage the most important things to look for are strength, durability and low maintenance. They will not rust, dent, rot, mildew, or fade and they never need painting. 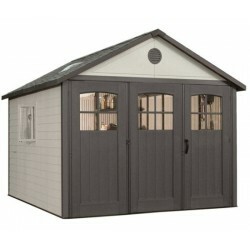 Size: 10.5'W x 23'D - measurements 126.6"W x 280.83"D x 85.4"H Weight: 1490 lbs FREE Fast Shipping! 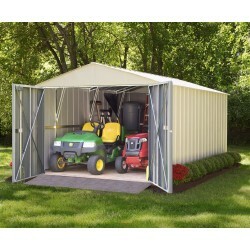 In choosing a garage, whether to park a tractor, or for storage the most important things to look for are strength, durability and low maintenance. They will not rust, dent, rot, mildew, or fade and they never need painting. FREE Fast Shipping! If your looking for a large storage buildings that’s a great value, the 12'x17' Vinyl Murryhill from Arrow solves your problem. This building provides a big 1,419 cubic ft. of space. 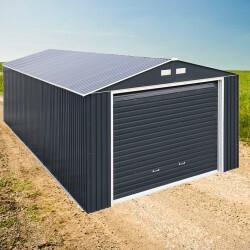 For extra large storage needs you'll find the 12'x31' Vinyl Murryhill steel building from Arrow a superior storage solution. 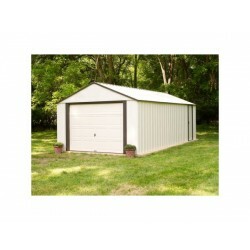 Designed with large storage needs in mind, the 14'x21' Vinyl Murryhill steel storage building from Arrow is full of the features you want in a extra large capacity shed. 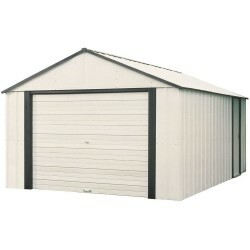 Get the benefits of our largest building with the 14'x31' Vinyl Murryhill steel storage building from Arrow. 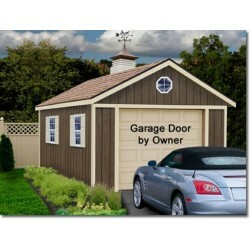 The Tahoe Garage Kit is a perfect choice for providing an attractive single car garage while adding extra storage for your home. 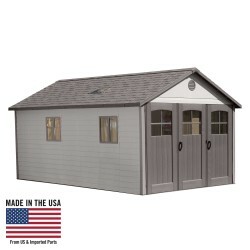 With it's traditional barn style appeal and additional loft storage you'll have plenty of space and many years of use out of this wooden garage kit. FREE Shipping! 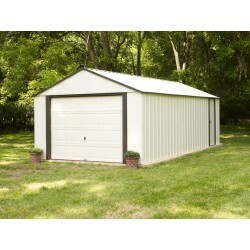 DuraMax Imperial Metal Buildings offer strength and durability, low maintenance and lot's of storage space. The base has approximately 1,396 cubic feet of space. A 99" wide roll up door is wide enough for SUV or sports car for secure parking storage. On Sale Now! Plenty of room. Plenty of light. 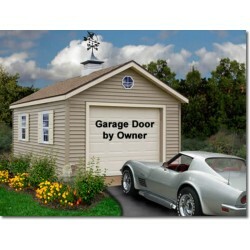 The Lifetime 11 x 18.5 shed makes an ideal garage workshop. 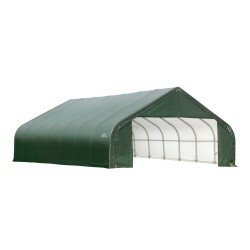 Double-walled polyethylene construction with steel reinforcements provides excellent durability with very low maintenance.FREE Bonus Tool Corral!